Porsche won the 24 Hours of Le Mans last year with its 919 Hybrid. By capturing first and second place in Bahrain during the final competition of the World Endurance Championship (WEC) season, Audi's works team celebrated a bittersweet victory to end 18 years of Le Mans Prototype endurance racing on a high note. Audi said last month that it will no longer race in WEC events, including the 24 Hours of Le Mans to focus on the all-electric Formula E racing series. Its decision to leave the WEC was followed by VW brand's announcement that it will exit the World Rally Championship, decimating much of its Volkswagen Group's top motorsports activities. So why does Porsche, which like Audi is a VW Group brand, bother to continue competing in the WEC, whose mostly six-hour races are too long to be attractive for TV audiences? Success certainly helps. Porsche won both the Manufacturer's and Drivers' Championship in the LMP1 prototype class for the second straight year, along with victories at Le Mans. Executives say the WEC's grueling regimen, its new rules that focus on efficiency over power, and the greater freedom to develop competing technologies is perfect to test the feasibility and reliability of new innovations for road cars. For example, when rules were introduced in 2014 to limit consumption per lap, the three factory teams used wildly different approaches to store and release recuperated energy. Audi, the only one to use a diesel, relied on a flywheel, while Toyota preferred super capacitors and Porsche employed an unconventional type of lithium-ion battery. Here the cells had a far higher power to energy density ratio than those commonly found. Were a smart phone to use the same cells as those found in the 919 Hybrid LMP1 car, it could completely recharge itself within a fraction of a second. But it would also be fully depleted after a brief chat, according to Porsche. Its approach has since prevailed, with both rivals adopting batteries this year. Porsche also took a different approach from its two rivals in how it recuperates energy. While it too uses brakes on the front axle to recover otherwise lost kinetic energy, it is the only one to additionally harness the enormous heat generated by exhaust gases. 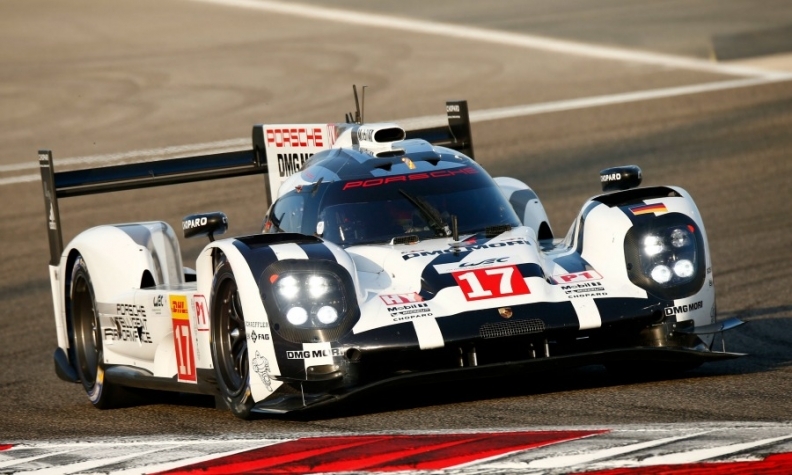 Finally Porsche was the first, and in 2015 only team, to elect restricting its fuel consumption in favor of employing more electrical energy by classifying its 919 Hybrid in the so-called 8 megajoule category. By comparison, the up-and-coming Formula E has taken the opposite approach. It lures teams into the fledgling series by limiting their development costs. Every team must source the same chassis, tires and even battery pack from one common supplier. Lucas Di Grassi, who also races in the WEC for Audi, told Automotive News Europe that much of the difference in strategy between the Formula E teams is limited to the number of speeds chosen for a car's gearbox. Moreover the cross-pollination between motorsports and series production is higher at Porsche, as development and testing of both occur essentially side-by-side in Weissach unlike at other teams such as Toyota or Mercedes where racing engineers are respectively found in Cologne and Brixworth. Many of the brains behind the Porsche 918 Spyder road car are now working on the 919 Hybrid Le Mans prototype. This race car in turn now feeds the development of Porsche's upcoming Mission E electric vehicle, most notably in the form of its 800-volt recharging technology that came straight from the LMP1 car. Unlike Formula 1, the organizing body of the WEC is also serious when it comes to electrifying the cars. Audi, Porsche and Toyota derive roughly half of their 1,000 horsepower drivetrains from their hybrid systems compared to less than 20 percent for F1. As a result, Toyota argues competing in the WEC further strengthens the efficiency and power output of its Prius, calling endurance racing the "ultimate testing ground for hybrid cars." It's not hard to see why. Alone the 24 Hours of Le Mans puts nearly as many kilometers on the car than all the Formula 1 races in a season combined. Eight further events, each six hours long, serve to further push the car to its absolute limits during the full season. In June Toyota learned just how much stress its TS050 prototype could absorb before failing, when the Japanese carmaker was on course to capture its first ever title at Le Mans. Out of the blue, however, the LMP1 race car lost power, surrendering victory on the final lap in a heartbreak for the team. Despite notching up a record 18 wins since Ferdinand Piech first won Le Mans in 1970 with his legendary 917, Porsche had its own major breakdown here two years ago when a counterbalance weight drilled into the crankshaft of its car gradually came loose and caused catastrophic engine failure with less than two hours left in the race. This didn't deter the then-Porsche boss Matthias Mueller from extending a year later the LMP1 program through the end of 2018. "It was the revolutionary efficiency regulations that convinced us to return to top-level motorsport for the 2014 season," he explained in August, just a month before his promotion to Volkswagen CEO. Motorsport, while an important part of Porsche's brand identity was not an end in itself, Mueller said. "Racing has got to help the technology of future road-going sports cars," he said. Porsche does have one last feather missing from its hat, though. The World Endurance Cup for GT Manufacturers went to Ferrari this year. It aims to change that with the fully redeveloped 911 RSR unveiled in Los Angeles earlier this month. Customers can even lease the car for their own amateur teams after the first season – including a team of Porsche engineers thrown in. Just don't ask how much it costs.